- Measures heart rate at the wrist¹ so you can run freer on race day. 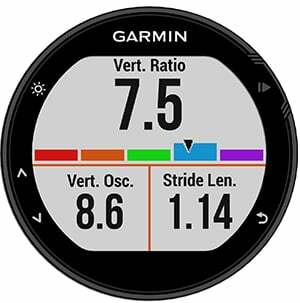 - Provides advanced dynamics² for running, cycling and swimming7, including ground contact time balance, stride length, vertical ratio and more. - Offers VO2 max estimate, lactate threshold³, race predictor and recovery advisor. 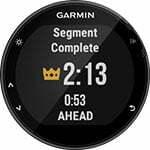 - Connected features4: smart notifications, automatic uploads to Garmin Connect™, live tracking and more. - Customize with free watch faces, apps and more from our Connect IQ™ store. 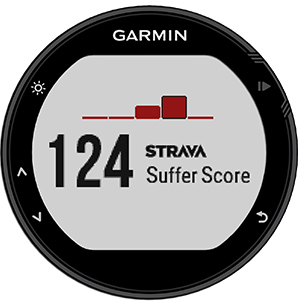 Strava running and cycling segments automatically sync with the 735XT for live feedback during your activity. Also get alerts for segment starts and finishes, view leaderboard rankings, and see how your current effort compares to your PR. Make every effort a personal challenge with Strava Live Segments. Download the free Garmin Face-It™ watch face app to customize your device with any photo from your smartphone. Just download the app, choose an image from your photo library, adjust the style for time and set it as your watch’s face. Whether it’s a scenic view from your last hike or a picture of your new puppy, with Garmin you can add personality to your watch that’s uniquely you. Available onApp Store™ and Google Play™.